Sherman L. Dudley is President and founder of Executive Leadership Solutions, a retained search firm that specializes in recruiting professionals for communities and development organizations. After 31 years of consulting with communities, companies, economic development professionals and local volunteers, Sherman knows firsthand, that leadership is the vital element in the success of prospering communities. Prior to organizing Executive Leadership Solutions, Sherman worked at the Georgia Institute of Technology. He previously was an Industrial Engineer with Lockheed-Georgia Company. Sherman joined Georgia Tech in 1970 as a field engineer. In 1974 he became Office Director and, in 1984, Associate Director of Georgia Tech's Business and Industry Services. He was responsible for the management of eight Georgia Tech Regional Offices in the southern portion of the state. These duties included recruiting, retaining, and developing a talented team of professionals. Additionally, he provided management and technical assistance to existing industry and local development organizations. During his career, he worked with over 500 businesses on projects to improve productivity, efficiency, and management practices. His economic development work focused on marketing, feasibility, and leadership training. At the community level, Sherman has led search committees for Chamber Executives, Development Authority Directors, and City Managers. He is a Past President of the Georgia Economic Developers Association, a 1000 member organization. He has been a class participant, Program Chair, Trustee, and Selection Committee Chairman for Leadership Georgia. 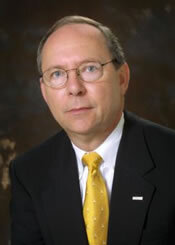 Sherman served on the Governor's Growth Strategy Commission on Economic Development. He is a Board member of the Georgia Chamber of Commerce. In the private sector, he serves on the board of SunTrust Bank, a subsidiary of SunTrust Banks (NYSE). Sherman completed the Economic Development Institute at the University of Oklahoma in 1985, and has served as instructor in that program since 1990. He holds a B.S. in Industrial Management and has completed graduate course work in economics. Sherman is a Certified Economic Developer (CEcD), as conferred by the International Economic Development Council. He was elected and served for four years on the Board of Directors of the American Economic Development Council.